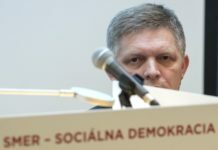 Bratislava, August 9 (TASR) – Most-Hid chairman Bela Bugar on Wednesday called on his party’s coalition partners Smer-SD and the Slovak National Party (SNS) to behave responsibly in the wake of SNS vice-chair Jaroslav Paska’s statements made one day before on Smer’s alleged disrespect towards SNS. Paska on Tuesday said that he wouldn’t rule out the possibility of SNS’s withdrawal from the Government in response to discrediting efforts against SNS masterminded by the Government Office with the engagement of Opposition party OLaNO-NOVA. Nonetheless, he stressed that he’d prefer a different scenario, while SNS isn’t aiming for a Government rejig or reshuffling at the ministries. „Mr. Paska’s statements were irresponsible, unfair and untrue. 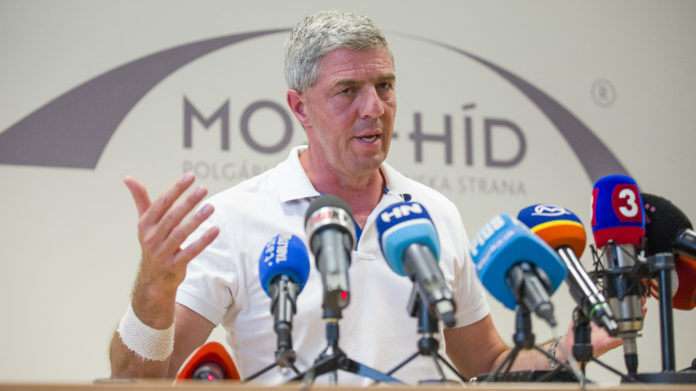 If anyone can imagine that Smer-SD has made a deal with [OLaNO-NOVA leader Igor] Matovic, then they must have sunstroke,“ said Bugar, calling on „especially SNS officials to realise their responsibility“. 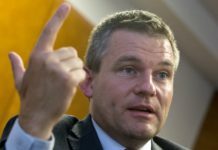 „An early election isn’t a good solution for the people and the country,“ said Bugar, adding that a stable government is necessary to secure good economic results for Slovakia. Upon withdrawing from the coalition agreement on Monday, SNS claimed that there was a need to put in order communication within the governing grouping. 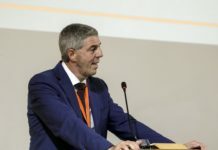 Nonetheless, Bugar believes that statements such as Paska’s in fact represent a communication problem, as he as a party vice-chairman made comments for the media, even though he wasn’t present at the Coalition Council session, which was reserved only for leaders of the three parties. Another meeting of the three party chiefs is due on Friday, with Bugar expecting a solution to be presented by SNS chairman Andrej Danko, as it was he who announced the withdrawal from the coalition agreement. When asked by journalists what Danko’s problem with the agreement was, Bugar responded that they should ask Danko. Bugar at the same time confirmed that shortly after Danko announced the withdrawal from the coalition agreement, he went to see him at the house of Michal Gucik, a former actor and later director of the TA3 news television channel, and currently a businessman and communication consultant. „He [Danko] was with Mr. Gucik, so I went where he was,“ said Bugar in response to ponderings by the media concerning the possible reasons why the meeting took place at Gucik’s house.